Being a smaller class of Skid Steers, ranging from 49 Horsepower to 60 Horsepower, these Skid Steers need a little help to be competitive on job sites. One of the simplest ways to be more efficient is to replace your tires. Monster Tires is here to help with any advice whether it be what tire tread you should use or if you need solid tires. We stock them all and all for the lowest prices available in the industry. 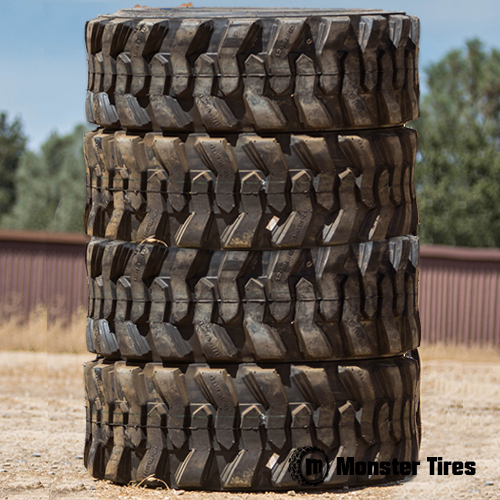 Contact Monster Tires today to get a set of the best OTR Tires in the industry.